When Kate Kelly faced excommunication from the Church of Jesus Christ of Latter-Day Saints in June 2014, much of the world took notice. The D.C.-based human rights lawyer garnered wide-spread attention for founding Ordain Women, a movement to push for advocacy of female ordination in her Mormon faith. A ripple of press from The New York Times toThe Huffington Post chronicled Kelly’s waves of activism and its subsequent consequences: excommunication in absentia on June 23 by her former church leaders in Virginia. While the press has since died down, the momentum remains. Church leaders denied Kelly’s first appeal against the charge in October 2014, but Kelly remained hopeful of her plan to appeal a second time to the church’s First Presidency when she spoke to WATER (Women’s Alliance for Theology, Ethics, and Ritual) a month later. 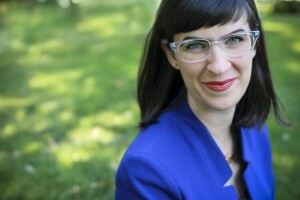 In 2013, Kelly founded Ordain Women to get at the root cause of sexism in the Mormon church. In the church’s priesthood, any male can be ordained beginning at the age of 12 and fill alternating positions of leadership; not one woman of the Church’s estimated 15 million members has that option. As such, Mormon women are stripped of authority. They cannot perform rituals of marriage or baptism; they are not allowed to participate in the Church’s blessing of their own babies. Gender roles are prescribed by a document called “The Family: A Proclamation to the World,” which specifically states that men provide for material needs of the family and women should raise children. While there is a long history of discussion around women’s ordination in the LDS church, its public advocacy remained largely unvoiced – until now. Since Ordain Women’s founding, hundreds of people have taken an outspoken stance. In April 2014, more than 400 Ordain Women members asked for admittance to the all-male priesthood meeting in Salt Lake City, following an unsuccessful first try in October 2013. The session is one even non-Mormon woman reporters are barred from entering. In a single-file line, every individual went up and sought admission. Each one was denied entrance. Excommunication for a thought crime is rare. Kelly’s charge means she is no longer baptized, no longer married to her husband in the eyes of the Church, and no longer able to go to heaven. Her faithful history – baptism at age eight, graduation from Brigham Young University in Utah, a Mormon mission term in Barcelona, Spain, a marriage at the Mormon Temple in Salt Lake City to another returned missionary – made no difference. Even the excommunication process highlights the sexism in the institution; a man has to be excommunicated by a formal process of 15 people and a regional presidency presiding, while a woman can be dismissed – as Kelly was – by three local leaders. That Kelly still advocates to change a church which has so wronged her is admirable. Her excommunication illustrates the harmfulness often present within the power structures Mormon Church–but which is also found in numerous other religions. Many teachings of Mormonism are built on gender power imbalance by the exclusion of one group – women – and by a hierarchy of males who will give the boot simply for asking what should be, in 2014, a given: the right to equality. The freedom to belong to a community of like-minded believers, to be welcomed, supported and upheld in a chosen faith space should be available to everyone – regardless of what one stands for. Kelly’s continued devotion proves that one does not need a structure to be faithful or to define faith. Faith is a personal decision that can exist with or without a space to practice in, with or without an ordained priesthood to facilitate such a relationship. A church can take away a structure, but it does not have the power to take away faith. Even if Kelly cannot, quite literally, stand within the walls of her church, she still calls herself Mormon. 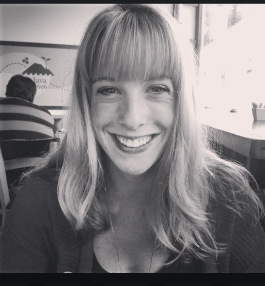 Kate Stoltzfus is a staff associate at WATER (Women’s Alliance for Theology, Ethics, and Ritual) in Washington, DC. She graduated from Goshen College in 2014 with degrees in journalism and creative writing.